You are here: Home / Blog / Credit Repair Business / Should You Buy a Corporation with Established Credit? As a new business owner, one thing you must consider is how you will build your company’s credit. This process can take many months, if not years, so the idea of being able to take a shortcut is very appealing. After doing some research you might hear about “shelf companies with credit,” which creates a question – should you buy a corporation with established credit? Any business can obtain credit lines in time. The older a company is, the greater the chance they have large amounts of available credit. The corporations getting sold with established credit often have credit limits of $25,000 to $2.5 million across all trade lines. For small business startups, a corporation with $50,000-250,000 in established credit will likely suffice. However, sometimes people buy shelf corporations with little built credit simply because financing is easier with an aged business. Yet, you would think these corporation owners would just keep their business. If they have so much available credit, why not use it to invest and grow? The answer to this is multifold, and it completely depends on the company. For instance, what good is it for someone to borrow money to compete in a dead market? Or, hypothetically the owner might have another business that deserves all their attention – or even a high paying job. You never really know why a person would want to sell a corporation with established credit. You can always inquire for the reason, but the point is these transactions are pretty standard. You would be surprised to discover that these deals can even be had without paying a crazy amount to purchase the company. In fact, you can primarily invest in the fact that the corporation has solid business credit already. The most obvious reason supporting such an investment is the fact that you can immediately obtaining credit. Your business might be able to luck upon the financing it needs to get the ball rolling, without a personal guarantee or years of credit building efforts. Obviously, this shortcut is very helpful for any startup business. However, that’s not the only reason why someone might benefit from buying an established corporation. There are many other reasons too – which you can even see listed on Wikipedia. The list includes obtaining the ability to bid on contracts, to avoid the incorporation processes and to use the longevity to build credibility with customers and investors. Even so, due diligence is necessary when attempting to buy a shelf corporation. You need to make sure there are no negative aspects. If you want the creditworthiness to help you, what good is it if their company has bad debts? The very first thing anyone should do when considering a shelf corporation purchase is pull the credit files. Check with Equifax, Experian and Dun & Bradstreet to see if there are any major issues. Next, research the public reputation of the company – this might not be a deciding factor as you can legally change the corporation’s name. The bigger concern would be if there are any previous or potential lawsuits directed at the corporation you are thinking to purchase. Note: Some companies actually set up shelf corporations solely for the purpose to sell them later. These corporations will typically have credit files set up at all three major business credit bureaus – Equifax, Experian and Dun & Bradstreet (D&B). They might not have any real credit history, but that’s okay. With these, you get the corporate longevity with will kickstart your business credit building journey. Here’s the catch. Your purchased corporation will be hard to embrace under your startup’s business plan. Therefore, what you want to do is merge the two businesses. The result will be a single corporation that combines the creditworthiness of both files. Since your startup won’t yet have any credit, you simply take the good credit history from the company you bought. This no-brainer tactic is often avoided and overlooked. Without merging, you will have plenty headaches when you try to run a shelf corporation. Merging takes away the majority of the issues brought up in this article too. The problem is, it’s scary – most people first starting a business are fearful of even the idea of merging with an existing company. 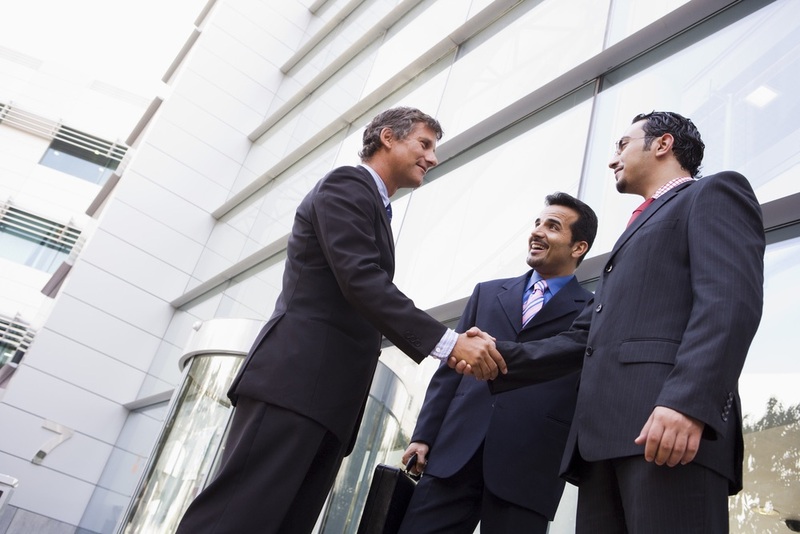 Read this article to get an idea on the complexities involved with a merger. Are you just buying a company for its age? If this is your scenario, forget about the merging process. In fact, skip out on incorporating your own business and just change the name of the purchased shelf corporation. This tactic was used regularly many moons ago, back when incorporating took longer. Since merging is indeed a hassle, doing a simple name change will clear most of your headaches. How Much Do Corporations with Established Credit Cost? The going rate for these businesses is hard to determine. The market is not well broadcasted and there are many fake deals. You need a true quality corporation more than anything. If you just want to get your foot in the door for new financing faster, to build credit quicker, than you could buy on age factor alone. In this case, an otherwise inactive business might suffice and these can be scooped up really cheap. Yet, you still need to make sure they have had open credit files (especially with D&B) for a lengthy amount of time. Typically, the cheapest option will be a business with credit problems or outstanding debt. It’s almost certain that these companies will not be worthwhile. The next cheapest solution is a shelf corporation with no real available credit. These are worthy options for anyone opening a small business, as they serve as a credit-building shortcut at a low cost. Then, you have the companies that once had active borrowing and give you immediate credit. These options will cost the most – and if they’re priced super cheap, it’s almost certainly a fraud. For perspective, take a look at the pricing of currently available shelf corporations at this website. By no means do we promote this particular company (do your own research), but this should give you an idea on roughly what you can expect to pay. The prices range from roughly $1,500 to $200,000 for an aged shelf corporation. With credit, they have no companies currently for sale but the sold ones were in the $10,000-30,000 range. Most of these companies for $1,500 are less than a year old. This amount of aging does nothing more than let you get incorporated faster. Since incorporating quickly is not as difficult as it was many years ago, these companies aren’t really worth it. Their $2,500 corporations are all approximately 1.5 years old, which doesn’t help much either. You will be spending more than $3,000 for a shelf corporation that’s at least 2.5 years old and $7,500 for one that’s 5 years old. If you wish to purchase a 10-year or older corporation, this puts you in the $15,000 and higher price range. The companies that are $50,000 and higher have all been in business for 40-115 years. As you can tell, the specific age of the business is a big factor in its price – especially when there are no active trade lines. Can You Buy Established Corporations in Other Industries? While it is technically possible, this tactic is not recommended. The problem here is that no lender will take you serious. For example, why would an oil drilling business try to get financed for a corporate loan to start a frozen yogurt business? Your best case scenario is finding a very relevant business. If you want to start a frozen yogurt shop, that means sticking to a food-related corporation. Your company can always “pivot,” within its own industry and avoid looking suspicious. That’s not to say this practice is illegal either, and it’s not, but changing the basis of an unrelated business will reduce loan approval rates. Surprisingly, the market for shelf corporations with established credit is larger than one would think. Many investors scoop up these companies to resell them on the basis that their creditworthiness holds value. The demand has lead to many scammers popping up and trying to sell companies they don’t actually own. Check this Topix discussion to get insight from people that have experienced and witnessed such fraudulent cases. It’s not just “business owners,” that don’t own what they claim, that are doing these scams. You will find fake companies claiming that they sell shelf corporations. While some businesses actually do this legitimately, quite a few are simply frauds. It’s your responsibility to do some research and reach a conclusion before trusting any seller. Additionally, it’s important to point out one other risky investment. This field is home to a similar offer, which is offshore shelf corporations. These companies are offered, whether admittedly or not, to help companies evade taxes. The IRS has safeguards in place to catch such actions and sooner or later you will get caught. The punishment for tax evasion is serious, while shelf corporations to build credit might be okay – this is not. Before closing this article, we want to touch base on the potential drawbacks that come with shelf corporations. These companies are made purely for the purpose of being sold. They hold no value aside from their age. Having an older business does gain you access to bid on certain contracts and obtain some funding which is otherwise inaccessible. But, this benefit does not mean your business will fail to build credit naturally. A business credit builder program can fast-track your business when it comes to establishing credit. You will need to incorporate your startup still, as it’s required to establish a D&B credit report. However, once you have a DUNS number and 411 listing there are many vendor trade lines you can obtain. You can also find business credit cards without personal guarantees which regularly accept newer business applicants. When you form roughly five trade lines and stay consistent with your payments for 3-6 months, your Paydex score will skyrocket. This process will still be necessary to trigger a D&B credit score with a shelf corporation. Therefore, regardless of whether you buy an aged business – there’s still credit building legwork that will follow. Should you buy a corporation with established credit? The answer to this question depends on your situation and the scope of your business. For startups with major financing needs, purchasing a shelf corporation with available credit can be a godsend. For a lean startup looking to improve their credit score – chances are you’re better off with an aged corporation only. The difference between the two is that one with established credit will likely have valuable trade lines. Meanwhile, an aged corporation will at least have a better chance to qualify for these credit lines which means you’re a few steps closer but not all the way there. The latter will still hold value because it will save you 1-3 years of wait time. This time frame serves as a minimal requirement to qualify for many business credit cards (without personal guarantee), business loans and vendor accounts. Ultimately, buying a corporation with established credit or an aged shelf corporation can have many benefits. It’s up to you to decide if those advantages outweigh the cost. Your company might not be ready to utilize a high level of financing from day one anyway. In that case, growing your own corporation’s credit might be a more sensible option. The right answer is different for everyone, so think this through and make sure to do your research before you buy! How Do Business Credit Reporting Agencies Work? 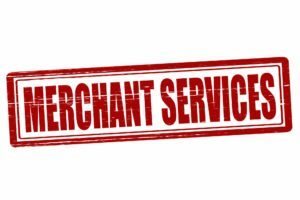 What Are The Best Merchant Services For Small Business Owners?